STUCK AT THE BEACH DURING A LIGHTING STORM! BACK TO SCHOOL POOL PARTY! Today we let the girls have a back to school pool party and invite their friends! Turns out cool and they have a lot fun! 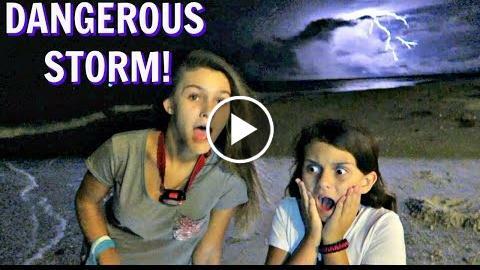 We go to the beach at night it is pitch dark and a major lighting storm comes in quick! Will we stay safe? Do we find any treasures?